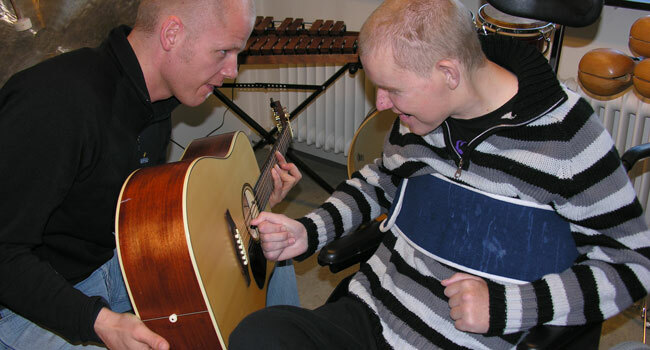 Music therapy is an evidence-based treatment form that systematically uses sound-making and “musicking” (singing, playing and listening) to help people in recovery and people with special needs. Typical goals are establishing, or re-establishing, physical functioning or psychological meaning, finding hope and enhancing quality of life, or developing resources and opportunities for interaction and communication with others. The Music Therapy researchers at Aalborg University study the clinical use of music for people suffering from schizophrenia, dementia, and autism - as well as many other client groups. Music Therapy teaching is research based and of a high standard and thus contributing to the development of a solid and well-founded clinical practice. Music therapy theory and research is taught at the highest international level and that there is sound collaboration with users, clients, clinicians, and decision-makers at the national level.